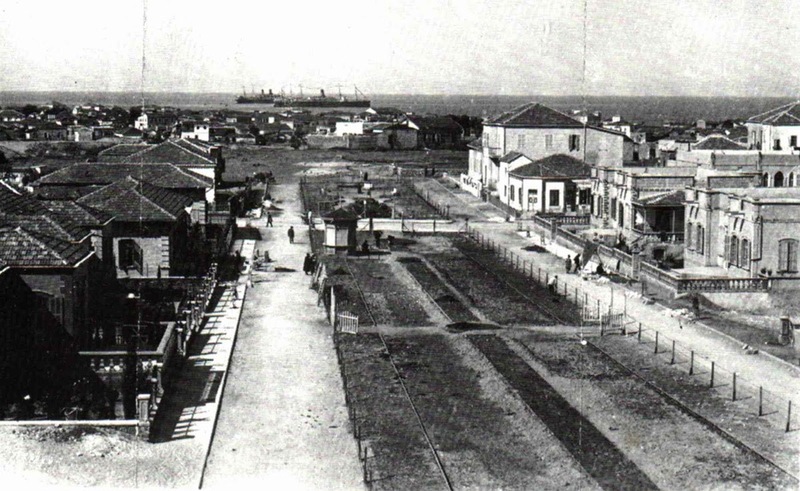 In 1909 a number of Jewish residents decided to move to a healthier environment, outside the crowded and noisy city of Jaffa. 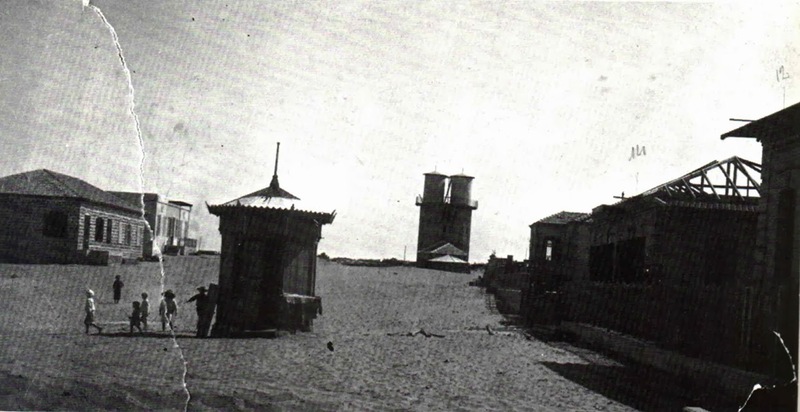 They established a company called Ahuzat-Bayit and with the financial assistance of the Jewish National Fund purchased some twelve acres of sand dunes, north of Jaffa. 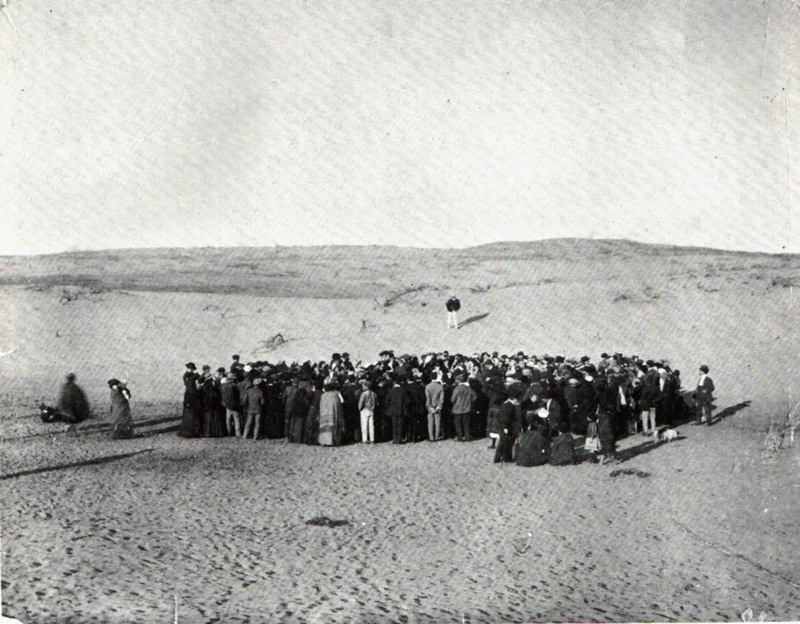 In April, 66 Jewish families gathered on a desolate sand dune to parcel out the land by lottery using seashells. This gathering is considered the official date of the establishment of Tel Aviv. The lottery was organised by Akiva Arye Weiss, president of the building society. Weiss collected 120 sea shells on the beach, half of them white and half of them grey. The members’ names were written on the white shells and the plot numbers on the grey shells. A boy drew names from one box of shells and a girl drew plot numbers from the second box. A photographer, Avraham Soskin, documented the event. Within a year, Herzl, Ahad Ha’am, Yehuda Halevi, Lilienblum, and Rothschild streets were built; a water system was installed; and 66 houses (including some on six subdivided plots) were completed. One day, it was in 1909, I was roaming with the camera in one hand and the tripod on my other arm, on my way from a walk through the sand dunes of what is today Tel Aviv to Jaffa. Where the Herzliah Gymnasium once stood I saw a group of people who had assembled for a housing plot lottery. Although I was the only photographer in the area, the organizers hadn’t seen fit to invite me, and it was only by chance that this historic event was immortalized for the next generations. Today the location in the photo (first photo) is Rothschild Boulevard – one of Tel Aviv’s trendiest areas. They named the street after Baron Edmond Benjamin James de Rothschild, a French Jewish banker who donated large amounts of money for the Zionist cause. Israel’s Hall of Independence is located at 16 Rothschild Blvd in Tel Aviv, a building that used to be the home of the city’s first mayor Meir Dizengoff, on the plot of land he’d won in the lottery. Rothschild’s owned the majority of the privately held land in the country at the time. As a matter of fact they were mostly busy with giving away land at that period. There are literally hundreds of cities, villages, settlements and towns whose land was bought by the Rothschilds and gifted to the community. They were the financiers of the early Zionist movement, entirely out of ideology. Mind you this was Zionism before the word carried all of its modern baggage, basically just meaning a belief that Jews deserved a national home of their own. But how did they turn the dessert in a farmed and populated territory? The trick has been known here since time immemorial, first you plant wheat which grows in sand, then after a decade or so you plant hardy root vegetables and fruiting shrubs, then after a decade or two more the sand becomes topsoil hardy enough for basically anything which is when you plant the olives and reclaim the arable land forever. Israel employed this ancient knowledge plus modern agricultural research to basically shove the desert as far south as it wanted to. Once food security was achieved in the late 50’s a small strip was left for future agricultural development and almost all of the rest of the desert was preserved in one way or another. That is a great picture. I just admire how ingenious the Israelis can be! That was Palestine. "israel" never existed. those "Jews" were Palestinian Jews living in Palestine, which is what this photo should say. No it wasn't, it was a former Ottoman province with no national identity under British control.